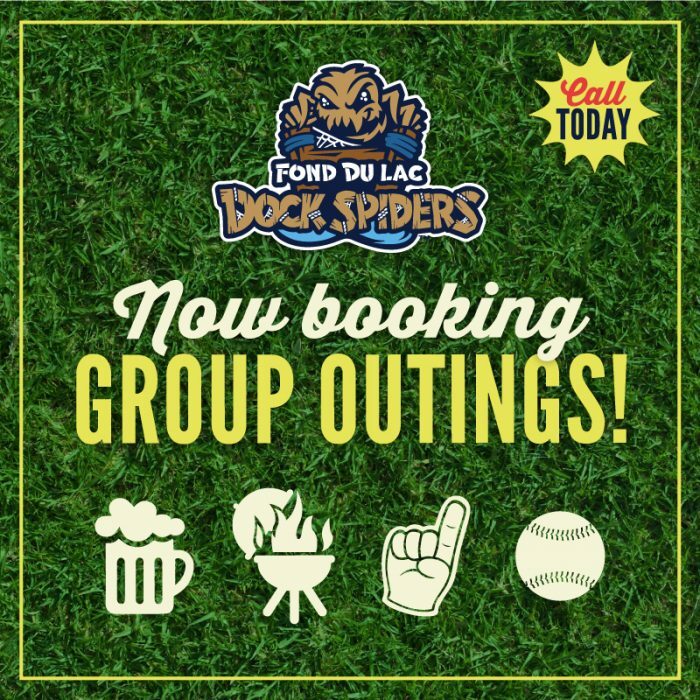 FOND DU LAC, WI – The Fond du Lac Dock Spiders are excited to announce the creation of Weaver’s Kid’s Club for all … "Full Story"
FOND DU LAC, WI – The Fond du Lac Dock Spiders are excited to announce three more additions to the 2019 roster. Nathan … "Full Story"
FOND DU LAC, WI – The Fond du Lac Dock Spiders are getting ready to defend their title during the upcoming season, and … "Full Story"
FOND DU LAC, WI – The Fond du Lac Dock Spiders are excited to announce the signings of four more players for the … "Full Story"
FOND DU LAC, WI – The Fond du Lac Dock Spiders are excited to announce their extended radio partnership with KFIZ AM1450 for … "Full Story"
FOND DU LAC, WI – The Fond du Lac Dock Spiders are looking for you to become a part of their game-day staff … "Full Story"
Souvenir 7 Ticket Packages Now Available! FOND DU LAC, WI – The Fond du Lac Dock Spiders have announced the dates for their Souvenir 7 ticket package along with … "Full Story"
It’s time to check in with some Dock Spiders players from last summer to see how their experience was and what to expect … "Full Story"
FOND DU LAC, WI – It’s time to get out your calendars because the Dock Spiders have announced their 2019 schedule! The Dock … "Full Story"
Reserve Your Seats Today for the 2019 Season! FOND DU LAC, WI – The Dock Spiders 2018 championship season may have just recently ended, but it’s already time to starting looking … "Full Story"
Copyright © 2019 Fond du Lac Dock Spiders. All Rights Reserved.